No matter how beautiful the colors look in the market but at the same time, they are really harmful. So the reason behind the organic colors are that nowadays in the market there are many harmful colors that are available and due to that it is seen that many skin problems arise that is rashes or it harms the skin terribly. Let’s take care of our skin too with this. Let’s Go organic this holi. You can make the organic colors at home itself. So let’s see how this is possible. The different toxic colors make your skin rough and eventually you will feel the issues after removing or with the color itself. So it is better we should take care of skin first. To make yellow color mix the haldi with besan and create the paste according to you. Add some water or rose water into that. It’s up to you what type of consistency you need. The benefit from this paste is your tanning will some reduces as the summer has already begun (hahhah). Isn’t this is the best idea? Even this is pure and natural no one will regret using this. Trust me. To make the red color you can grind the rose petals as well as hibiscus flower separately or together it will definitely give you the attractive shade of the red. So the benefit of that is rose petals will help your skin to glow add eventually it will save your skin too. To make the green color you can grind the leaves of the neem. Add the rose water or the normal water to adjust the consistency of the paste. As neem does not suit everyone but yes if it suits you can try this out. The benefit of this is we all know neem is the best to cure each and every skin disease. To make blue color is a bit difficult but yes you can make this with indigo that is easily available in the market. The benefit of indigo is that it will better protect from the acne and the harmful sun rays. I hope this holi brings all the happiness and colors in your life as well you enjoy much as possible. Let’s take this small initiative to [protect from the harmful colors. 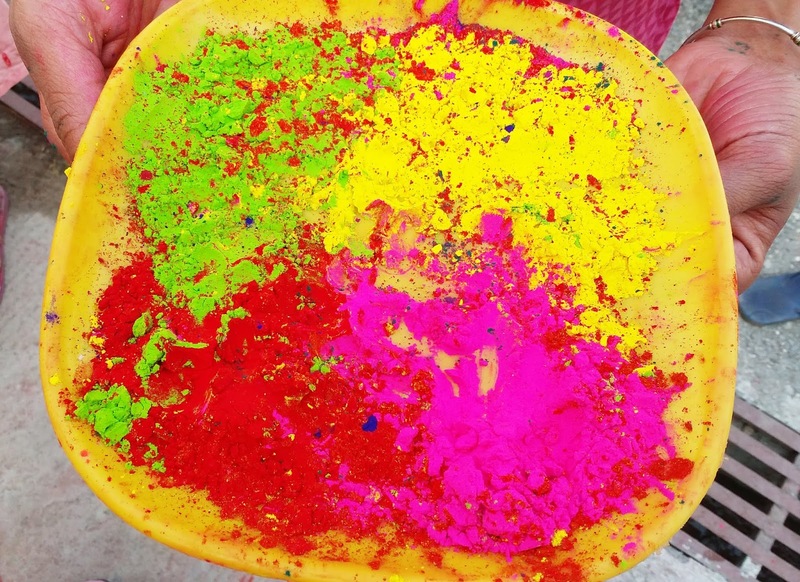 If you are trying to make any of the colors do let me know in the comment section and yes, wish you a very happy and great holi to everyone out here.